14 years ago we created Tourwriter – tour operator software designed to delight, inspire and help tour operators craft memorable experiences for their customers. 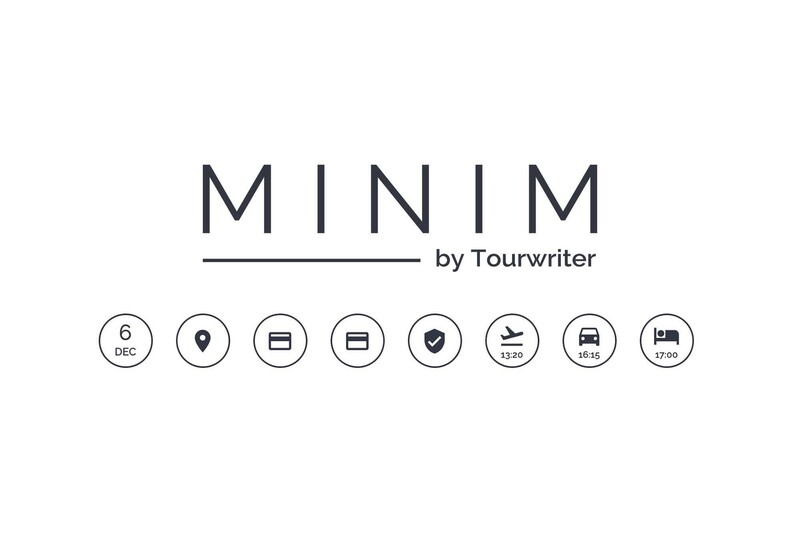 Our online itinerary builder, Minim, represents an exciting new chapter in that journey. Create breathtaking itineraries and collaborate directly with your agents or travellers. Minim is lightweight, easy to use and designed to take the customer experience to a whole new level. Collaboration functionality injected straight into the heart of your itineraries means you and your customers will always be on the same page. Your customers love flexibility. Now you can offer them fully responsive, mobile optimised itineraries, available anywhere, any time with Minim on mobile. Itinerary proposals in Minim will take your pre-sales game to a whole new level. Your customers won’t believe their eyes, and neither will you. A revolutionary new way to share and collaborate with intermediaries such as sub-agents, DMCs and ground handlers. An interactive overview of your organisation’s performance. Giving you updates on sales metrics, upcoming itineraries, a live collaboration feed and more. A free itinerary builder and a paid plan that grows with you. Pricing so simple you’ll wonder why everyone isn’t doing it this way.